We have discussed this matter countless times that this wooden pallet recycling has literally transformed our lives. There used to be a time when we were simply scared of buying some new wooden furniture items, and this was all about the sky high prices of these market oriented furniture items. But since this blessing of pallet wood upcycling has taken place in our lives, we are no more scared. Infact we are always determined to work on some new pallet wood creation as we get the entire timber free of cost, and the other incurred expenses are just minor. 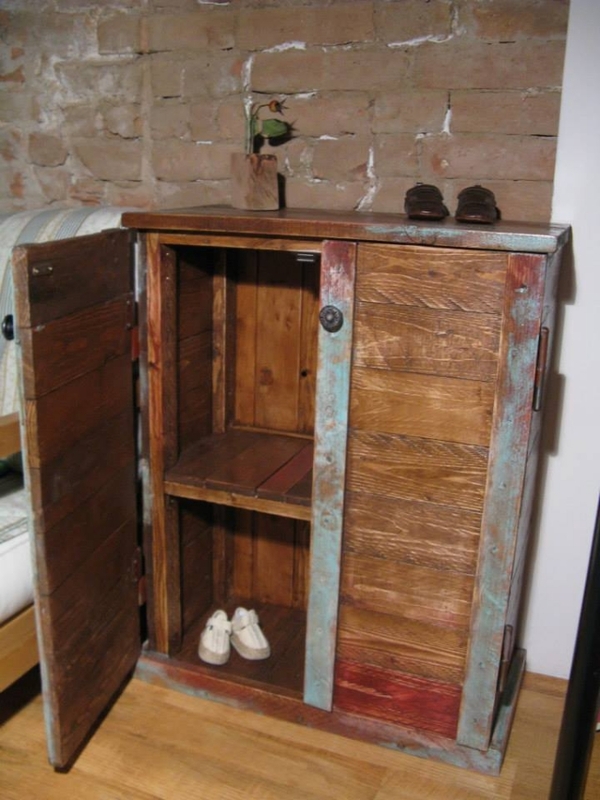 Same is the case with this recycled pallet storage cabinet. 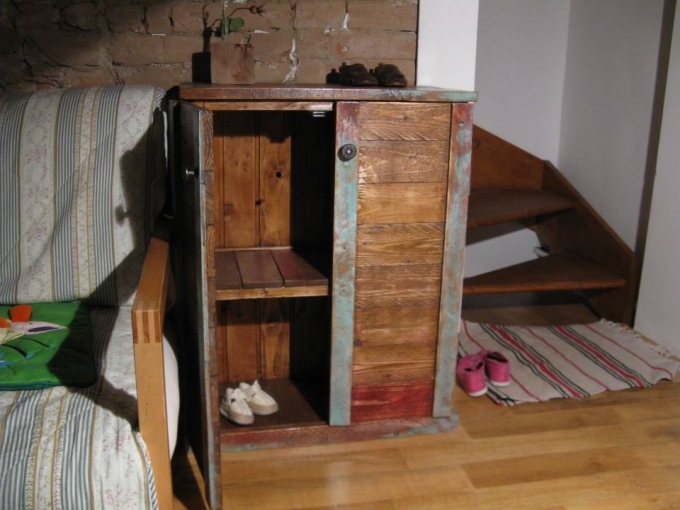 A wooden cabinet in the house is one of the most important fixtures. I don’t feel that it needs any sort of explanation or supportive arguments. 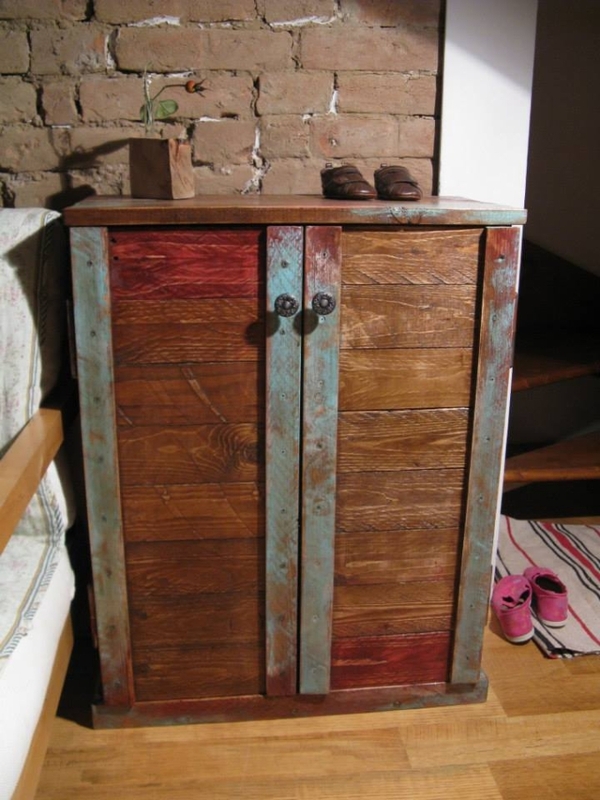 So working on a pallet wood recycled storage cabinet is a wise choice for now. If we talk a bit about the need of storage space, we find out that storage cabinet helps us when we are left with no more storage space in other furniture items and many of our accessories still need some better space. At this time this wooden cabinet would be counted. 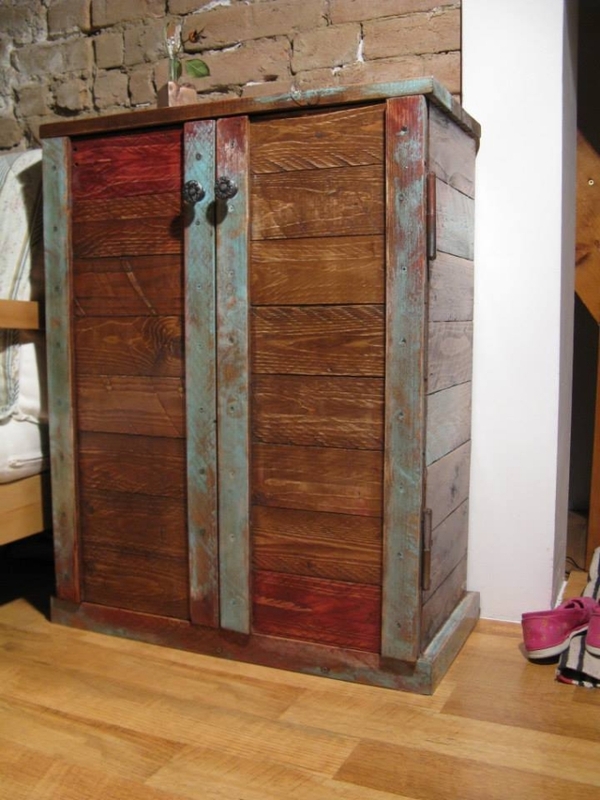 Turning towards the project of the day, this wooden pallet storage cabinet is made using the most deteriorated shipping pallets, but this didn’t make a difference as the main focus was the secure storage space that we created very effectively. And the design was also kept pretty simple. 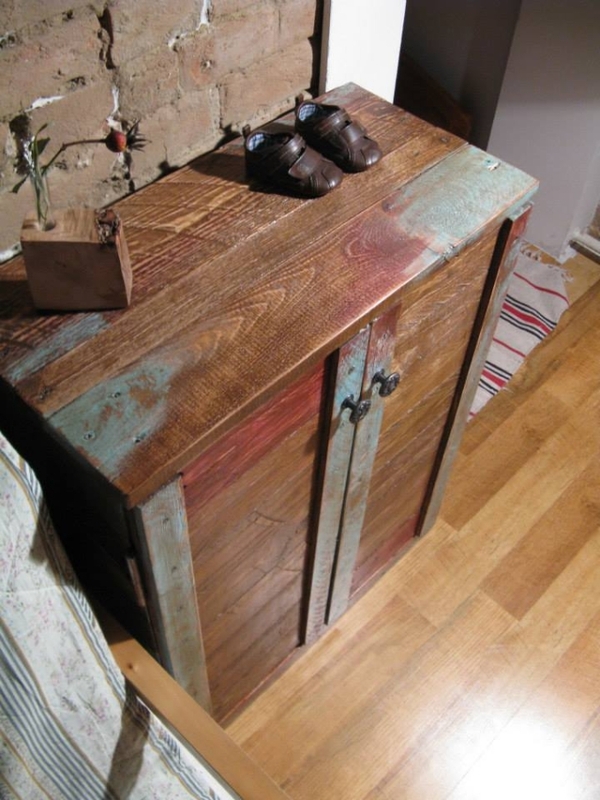 We used some reclaimed metallic knobs on the frontal doors or the cabinet, we divided the internal space in two portions. One of them could be used for folded clothes and the lower one would be an ideal shoe storage rack. 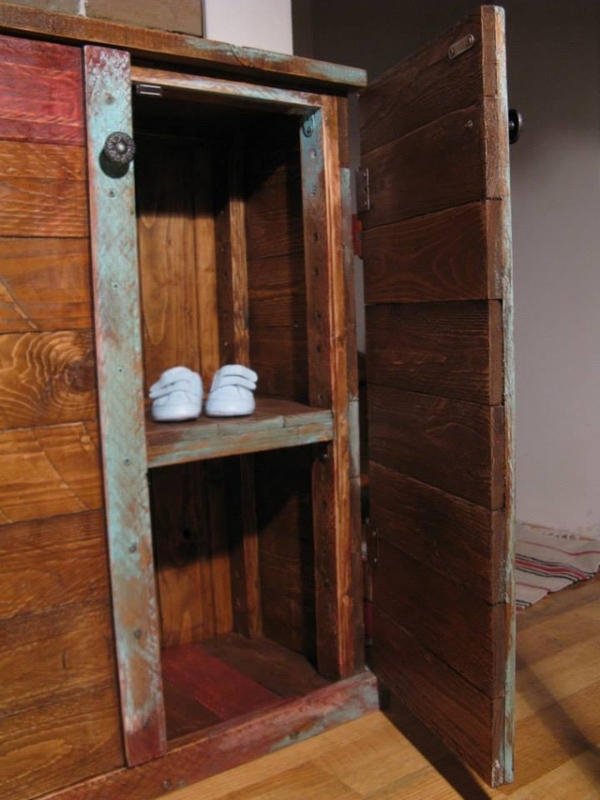 You can also place some other accessories, this is a perfect storage wooden article made using the wood pallet.